"Пётр и Патрик" : Last Chance to Help Tony the Tiger! защита природы защита природы - Last Chance to Help Tony the Tiger! Последний шанс для тигра Тони! 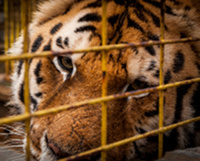 For more than ten years, Tony the Tiger has been kept as a tourist attraction at Tiger Truck Stop in Grosse Tête, Louisiana, where he is confined to a 3,200 square-foot cage. The Louisiana Senate has created a bill (S.B. 250) that would allow Michael Sandlin, the owner of the truck stop, to keep Tony, in defiance of Louisiana's own laws. 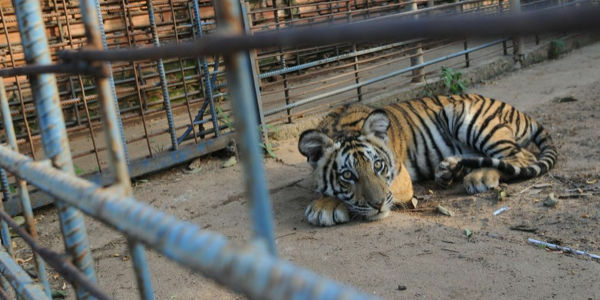 Legislation passed in 2006 banned ownership of tigers in Louisiana. But anyone who had owned a tiger prior to 2006 was grandfathered in and allowed to keep their animals. S.B. 250 has been specifically designed to appease Sandlin and allow him to continue to keep Tony. Animal welfare activists have campaigned for years to make Sandlin release Tony and have him sent to a sanctuary where he can be free to roam. We have to act now to prevent S.B. 250 from passing and condemning Tony to a life of captivity. Tell Governor Bobby Jindal to veto S.B. 250 and free Tony!